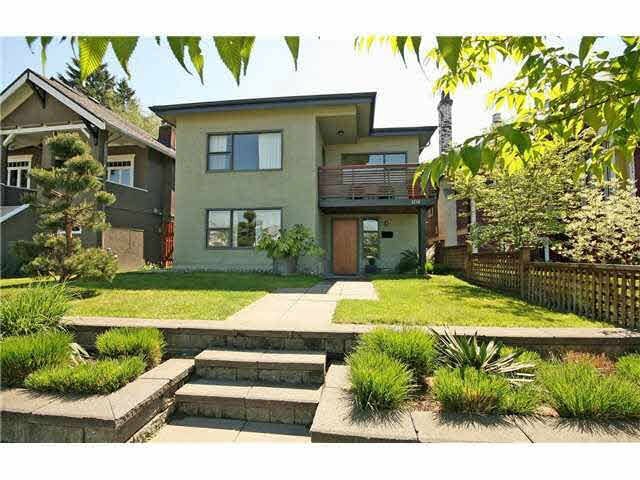 This post-war Vancouver special was architecturally renovated in 2003. It had over $180,000 up upgrades. New reno included all electrical, plumbing, new sewer line, insulation, metal clad windows and a high efficiency furnace. New perimeter drainage was installed in 2011. The roof was replaced in 2006. The main part of the home features re-purposed wide plank flooring, contemporary fireplace, 9 foot ceilings, 3 bedrooms and 2 baths. An open concept kitchen and dinning room open to a covered deck and fully fenced private back yard. The north facing second floor deck has great views of the North Shore Mountains. Close to Charles Dickens Elementary and Annex. Centrally located, close to transit, parks and the new library.